IPL 2019: SRH host CSK in a much-awaited tie. 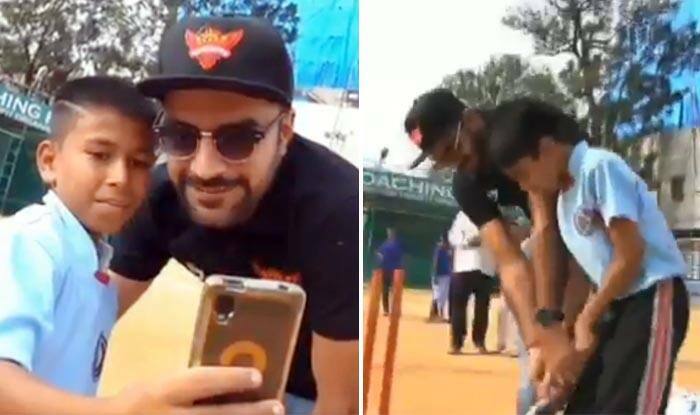 IPL 2019: Rashid Khan and Vijay Shankar were seen enthralling kids in the streets of Hyderabad as they played cricket with local kids. The two star cricketers of the SRH franchise seemed to be enjoying their stint with the kids who were delighted to play with their heroes. Rashid Khan bowled while Vijay Shankar did some batting. Shankar also hit a short ball from Rashid Khan which was pleasing for the kids. Rashid Khan has a huge fan base in India and Vijay Shankar is making a name for himself soon. Here is the video where you can witness the two cricketers play gully cricket with kids. Meanwhile, Chennai Super Kings has edge over Sunrisers Hyderabad by winning 8 matches against SRH. In 18 matches between these two teams, CSK has lost just two. This year Chennai is on the top of the chart by winning 7 matches out of 8 while Hyderabad is holding the sixth position in the cash-rich league by winning 3 games out of 7 played.